Choose AC gearmotors for applications that require low, steady speed over a wide range of force. They are often used in lifts, medical tables, jacks, and robotics. For use in dry, clean, well-ventilated areas, ODP gearmotors have open vents that allow air to flow over the motor. The cover helps keep liquid from dropping on the motor within a 15° angle of vertical. 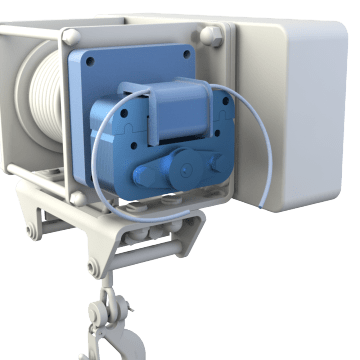 TEFC gearmotors have an external fan mounted to the housing to move air over the motor, helping to prevent overheating when there is inadequate airflow. 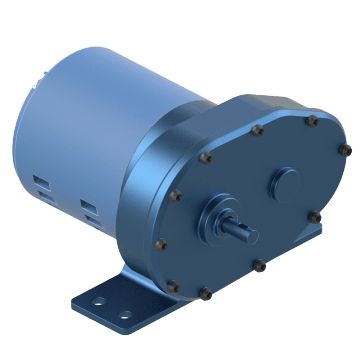 The totally enclosed housing reduces outside debris from affecting the motor, making these gearmotors a good choice in environments where dust, dirt, and moisture are present. 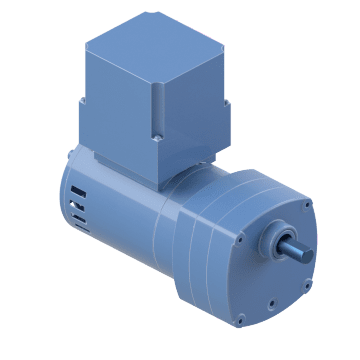 Without an external fan or open vents, TENV gearmotors are cooled by air circulated by the motor and are typically more compact than fan-cooled gearmotors. 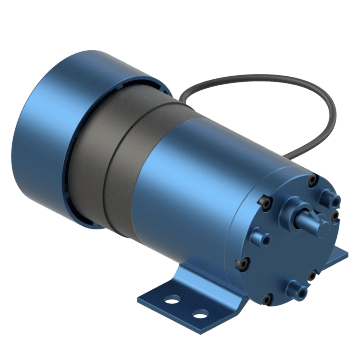 These motors are totally enclosed, which helps to keep outside debris from the motor in damp, dirty, and dusty environments.